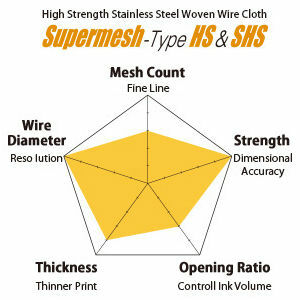 HS & SHS Mesh is suitable for high viscosity paste. The wire material has 3 times higher strength than BS and only 5% elongation. The wire thread is woven at an open ratio of 60%. It is appropriate for solder or paste laydown.